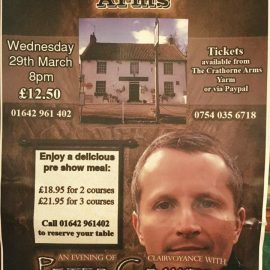 We still have tickets left for The crathorne arms psychic evening with Peter Crawford! Book before we sell out! Come and have a meal before hand! Call 01642 961402 to book tickets or a table!